Mother’s day is just around the corner! May 12th in fact! If you’re like me and tend to wait until the last minute to figure out what your gift will be, I have good news! Not only do you not have to spend any money, but I have it under good authority that Mom’s Love homemade gifts! It truly is the thought that counts when it comes to Mother’s day!! Keeping that in mind, here are some gift ideas for the weak of wallet and the last minute gifter. Make Mom lunch! You can even use her kitchen as long as you clean up when you’re done! Add a homemade card and she will be very happy! Take a photo and frame it for her, Mom’s love to have pictures of their children and family and what better way then to surprise her with an updated family print! Make her favorite sweet treat, but as mentioned before… clean up after yourself if doing so in her kitchen! Remember Shrinky Dinks? Why not draw a picture of you and your mom or her favorite thing and make it into a necklace or magnet or keychain. This gift is guaranteed to make her smile! 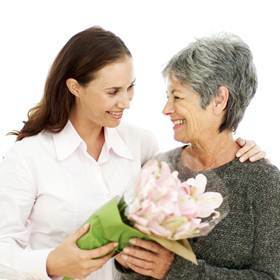 If you are not into making crafts or cooking, put your thoughts into words and create a poem for her or just write down your favorite Mom memory. This one may even bring a tear to her eye! If she likes to garden, how about a variety of seed packets and and some cute garden gloves, put it all in an inexpensive flower pot and tell her to keep planting her “seeds of love”! Make her a little book called 10 things I love about you. Punch a hole in each corner and put it on a key ring. The mushier the better! Some of these may seem juvenile, but trust me – your mom won’t care. She’ll love that you put some thought into her gift and made her day special. If none of these sounds like the gift for you… then Clean your room, Mop the floor, Vacuum the house, Dust the shelves, do the Laundry, take out the Trash, do the Dishes and tell her how amazing she is and that you Love her! !